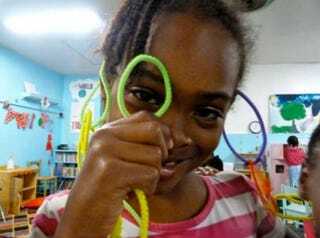 Where Is Missing DC-Area 8-Year-Old Relisha Rudd? Relisha Rudd has been missing for nearly six months from a Washington, D.C., shelter where she lived with her mother and siblings. Nearly six months after 8-year-old Relisha Rudd disappeared from a homeless shelter in Washington, D.C., her whereabouts are still unknown, and the police investigation appears to have stalled, the Washington Post reports. The prospect of finding her alive is poor, police have said, especially after a man in whose company she was last seen was found dead of a self-inflicted gunshot wound to the head shortly after her disappearance. That news came after the man, Khalil Malik Tatum, a 51-year-old janitor at the D.C. General homeless shelter where Relisha lived with her family, was already wanted for questioning about the death of his wife. Andrea Tatum was discovered March 20 facedown on a motel bed in Oxon Hill, a Maryland community outside the District, with a gunshot wound to the head. Relisha reportedly was last seen March 1 in Northeast Washington after her mother, Shamika Young, allowed her to leave the shelter with Tatum on Feb. 26, police said. On March 31, searchers found Tatum’s body in a shed at a park. Young was placed under investigation as a result of Relisha’s disappearance and her remaining children placed in protective custody. But that’s all we know so far, and the spotlight has turned to other news, the Post’s Colbert I. King laments. King writes that since Relisha’s disappearance, he has tried to obtain information about the progress of the investigation from Mayor Vincent C. Gray, who, after a public furor, ordered a thorough review of the city agencies that had direct contact with Relisha. Gray reportedly asked Beatriz “BB” Otero, deputy mayor for health and human services, and Abigail Smith, deputy mayor for education, to oversee the review, King writes. But he says he hits a stone wall when requesting information about the progress of the case. King intimates that classism and racism may be a big part of the reason that Relisha’s case has come to a standstill. “Disappeared in March, and dismissed ever since,” King writes. “Few words recently out of the mouths of our city’s political glory seekers and pastoral care givers, and a press with the attention span of a three year old. Can you imagine what would be happening if Relisha came from the home one of our rich or famous?” We echo King’s sentiments.